These kits are for the Check Please Brown Bag Mystery Quilt. You will receive only the cutting instructions in your kit. 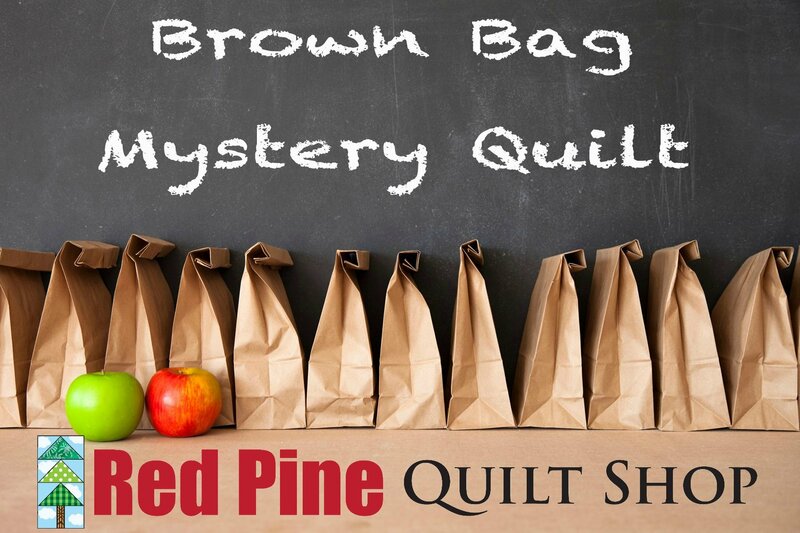 The first clue for the mystery quilt can be picked up or mailed to you on Saturday, March 16th. Clues will be available for pick-up or mailing every two weeks. There are five clues in the mystery. If you order through our online shop the shipping charge applied to the order will cover both mailing the kit and the clues. The mystery quilt is 48” x 72” when finished.